We would like to invite you to come participate at the 2018 Model Car competition. The scaled model contest will take place at the O’Reilly Auto Parts Boise Roadster Show on March 9-11 at Expo Idaho. Since the first Roadster Show back in 1973, models have been put on display at the show. 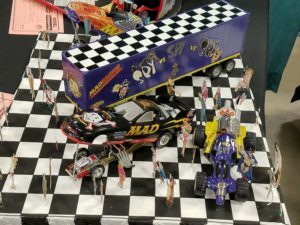 The Model Car contest is open to all types of plastic and metal models, along with RC cars for anyone that has gone to the extra effort to customize their ride. We welcome the full spectrum of builds ranging from custom to restored to racing or any other genre of car or truck. You are welcome to pre-register or enter around the back of the Expo Idaho center building on Thurs., March 8th, between 7 pm and 8:30 pm. Model awards take place at 4 pm Sunday. The entry fee for the first entry is $25, while additional entries run $8 ea. You receive a full event hard card with your first entry.